Promain are the UK's leading supplier of water based and solvent bourn barn paint, suitable for use on surfaces such as featheredge wooden boards, waney edge cladding, Marley cladding, metal profile plastisol, wood, timber and UPVC roofing and walls. Barn paints are formulated to make the freshly painted surfaces look rejuvenated and modernised whilst also protecting the surface underneath from attack from wood boring insects, wet and dry rot, as well as rust and corrosion. Barn paint is a great way to revamp your old and tired timber or metal profile cladding facades. For those of you looking to find the best barn paint available on the market, we can help you along the way. Bedec barn paint is available in a wide range of colours, including red barn paint and black barn paint, depending on your needs. Promain also supply a range of Cladding Paint, giving you the freedom you need to make the right choice. Suitable for featheredge, waney edge, metal and plastic cladding, fencing, exterior wood, metal, brick and concrete. A BBA certified low-maintenance, solvent based microporous, flexible opaque, preservative. A fast drying, easy to clean sealing paint for use in agricultural outbuildings and equestrian buildings, including stables. Anti Corrosive red oxide paint for Gates, Railings Tanks and General Steel Work. Heavy duty brushable, flexible, waterproof, anti-rust coating for metal cladding and roofs. A water-borne wooden cladding paint based on double-action acrylate for wooden surfaces externally. A water borne alkyd based full-matt adhesion primer for wooden surfaces externally. A full-matt water-borne acrylate-based paint for wooden surfaces outdoors. Barn paint is a very popular product, thanks to the versatility of the paint. Barn Paint is great for any outside structure, particularly those made from wood like, sheds, fences and of course barns. The range of barn paint colours available, makes this one of the most useful paints in the industry. No matter your style or colour preferences, there is a colour for you. Protecting your wooden structures is essential, which is why barn paint is a water based acrylic paint, making it flexible (and less likely to crack), and UV stable for a longer finish, even in strong sunlight. If you have a wooden structure that you would like to keep as natural as possible, but still protected, you can still use barn paints. There are a number of paints available that are slightly translucent, meaning you can still see the wood grain once the paint has dried. Our team will be able to advise you further on this, simply give them a call on; 01462 421 333. Applying barn paint couldn’t be simpler. 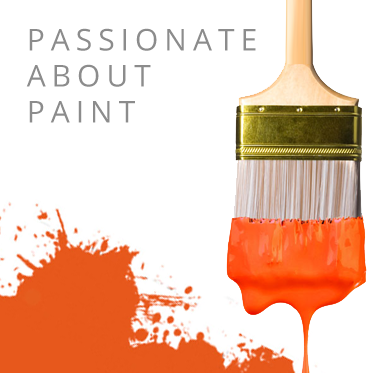 The low odour element of the paint makes it ever more of a popular choice. The paint is long lasting, so wont need reapplying as much as other outdoor paints. Applying barn paint can be done with either a brush or a roller. Some variety are available in an easy-to-use spray can too. 1 litre of barn paint, on average, will cover between 10-13sq meters. We recommend applying two coats to any outdoor structure for a longer lasting finish. You should first prepare the surface by cleaning, abrading and degreasing the wood or previous paint. Barn paint can be applied over the top of another paint coat that has been sanded down. Thanks to the paint being water based, it doesn’t cause a reaction with any other paint types. Barn paint has a range of benefits, no matter where the application, making it one of the most versatile products on the market. The range of possible applications showcases the quality of barn paints on the market, such as the Bedec Barn Paint. Available now in a wide choice of colours, we have a wide catalogue of barn paint colours available to suit your requirements. The most popular is the Bedec Barn Paint is available in 20 litres. Another popular choice is the Bedec Multi-Surface Paint available in semi-gloss and matte finishes, to help you achieve your desired style. We can also create a colour of your choice, for a small fee per batch. Simply call our team for more details on; 01462 421 333. If you need help choosing the right product, get in touch and speak to a member of the Promain team who will gladly help you to find the best barn paint. We have over 30,000 paint colours available.